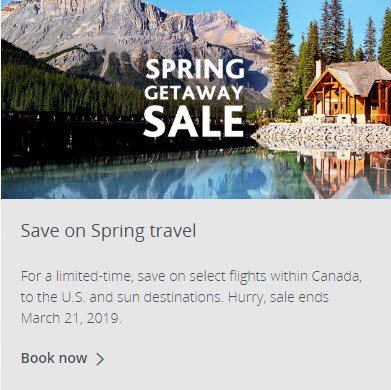 Air Canada is having a Canada, U.S. & Sun Seat Sale. 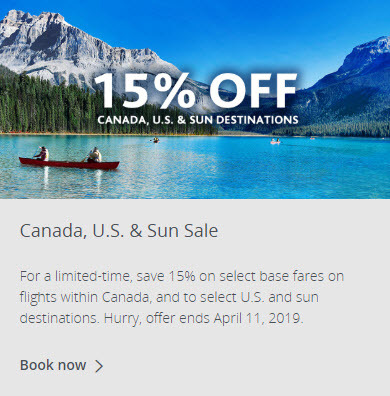 For a limited-time, save 15% off select base fares with promotion code C48MU641 on flights within Canada, and to select U.S. and sun destinations. Hurry, offer ends Thursday, April 11, 2019. Hurry, this offer ends Thursday, April 11, 2019. 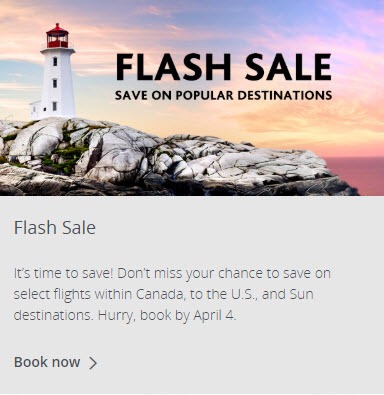 Air Canada is having a Flash Seat Sale. 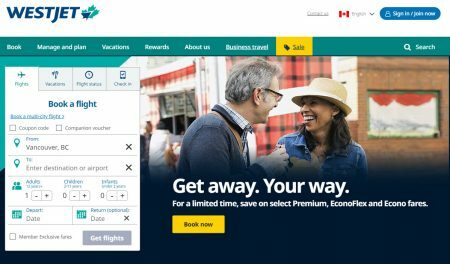 Save on select flights within Canada, to the U.S., and Sun destinations. Hurry, book by April 4. 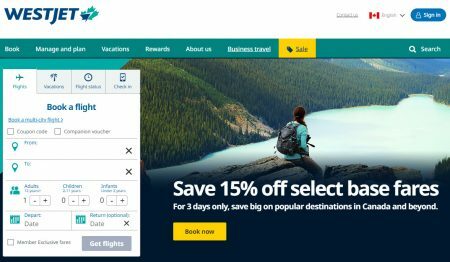 WestJet is having a Flyre Seat Sale. The Flyre Festival may not be real, but the Flyre Sale is. 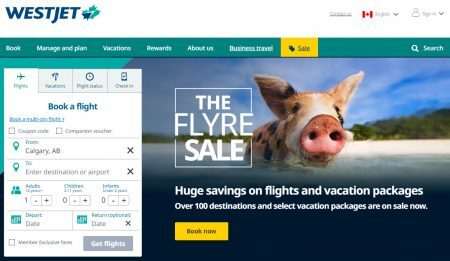 Save big on anywhere WestJet flies. Plus, select vacation packages are on sale. WestJet is having a Seat Sale. Today only, take advantage of two great offers: explore their new destinations with 15% off Basic and Econo base fares, or treat yourself with great savings on Premium fares to anywhere WestJet fly. More destinations, more comfort. Book now to spend less, and experience more.